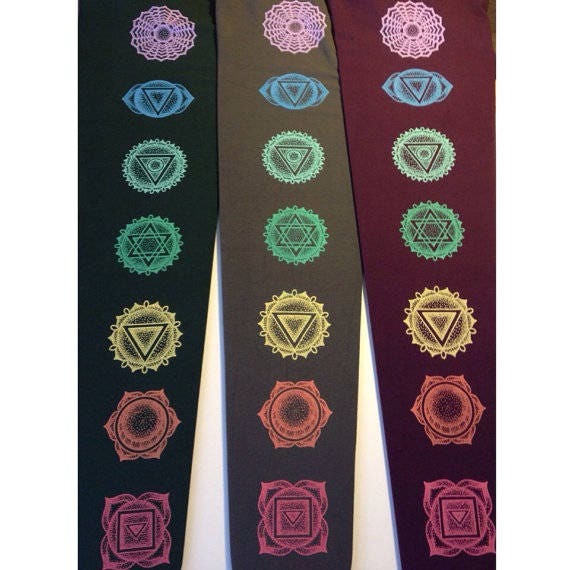 Δ Dotwork Chakra art designed & silk screened by Grizzy. 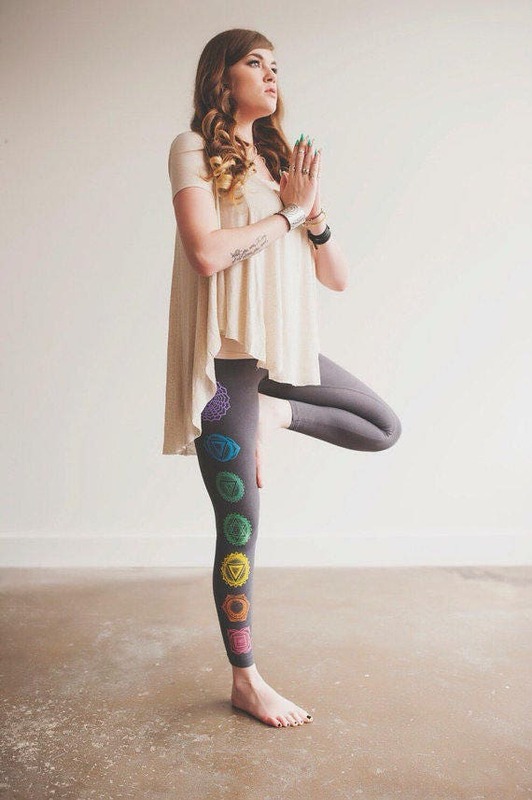 NOTE: Chakra design is printed on one leg only. 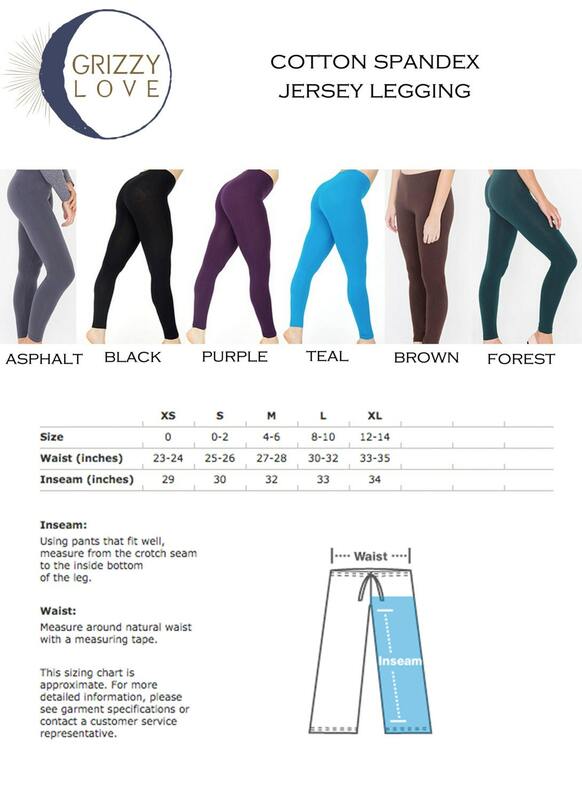 Organic Cotton elastic waist band leggings from Maggie's Organics. High Waist Black leggings with rainbow print.